Former two-weight UFC champion BJ Penn will make his Octagon return at the end of the year UFC 232 Pay-per-View event in a lightweight bout against Ryan Hall on Dec. 29 in Las Vegas. The promotion announced the matchup earlier on Wednesday. Penn (16-12-2) hasn’t competed since losing a majority decision to Dennis Siver back in June of 2017. The defeat marked fifth in a row for “The Prodigy” who has not won a fight in almost eight years. During his prime time, Penn was considered one of the best pound for pound fighter, who holds both welterweight and lightweight titles. But his last three appearances were at 145-pound. Hall, a former winner of The Ultimate Fighter reality series, hasn’t fought since 2016, but currently riding on a six-win streak. A grappling specialist, Hall’s last win was over Gray Maynard at The Ultimate Fighter 24 Finale. UFC 232 PPV event is set to take place at T-Mobile Arena in Las Vegas on Dec. 29. Do you think Penn will snap his five-fight losing skid? 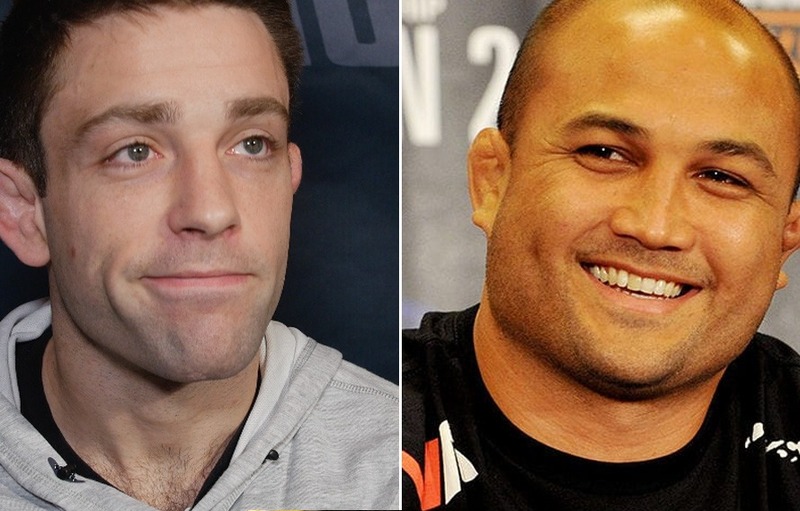 Next articleBJ Penn Officially Slated To Fight Ryan Hall At UFC 232!